There are luxury brands and then, there are LUXURY brands. La Prairie falls into the latter category. The category talked about in hushed tones of awe, where the brand name is reverently whispered and not shouted in plush surroundings, and where local prices start at 4 digits. Its not something you can run out and say “I think I’ll give this a go” without thinking twice, or multiple times. Yet, the brand just celebrated its 25th Anniversary last year in 2012 with its caviar standard of skincare. That’s 25 years of people using and supporting the brand, which says something, I’m sure. 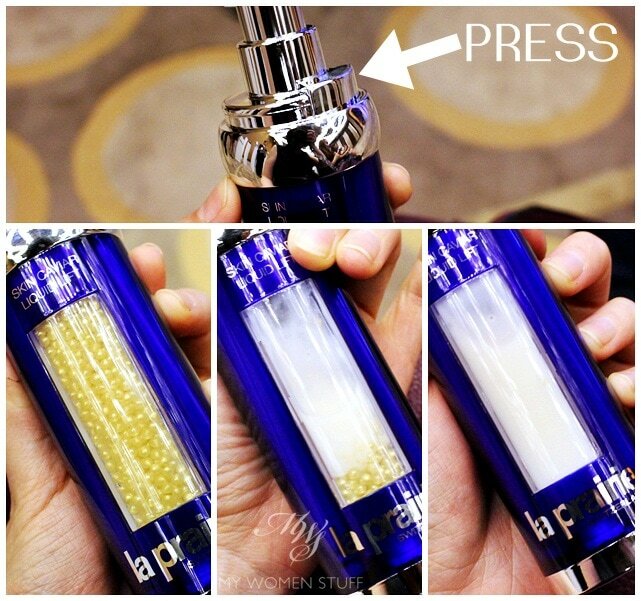 In conjunction with its 25th Anniversary, Swiss luxury brand La Prairie introduced the Skin Caviar Liquid Lift Serum. This serum slots in to the already popular caviar range of skincare which is said to derive its skincare benefits from caviar – yes the sturgeon fish eggs so enjoyed by the rich and famous on little hors d’oeuvres that us mere mortals would only savour on the rare and wonderful occasion we choose to splurge on our food. Here’s a collage showing you just what this serum looks like and how it transforms into the milky emulsion you see above. The ingredients are housed in separate compartments, so you get it freshly delivered at the point you want to use it. You depress a tab near the dispenser pump which will allow the ingredients to mix. Then you shake vigorously until the yellow membrane, made of red algae, melts and the final result is the milky serum that you use as you would any other serum – after cleansing and toner (if any) and before moisturiser. You are supposed to feel an “immediate lifting effect on the skin” which I did, if you ask me. Long term use is supposed to help strengthen the skin and maintain its elasticity so skin looks and feels firmer. However, I do not know how much of the tightening effect is attributed to the product and how much is attributed to the alcohol. Yes, alcohol is listed as an ingredient up there in the list of ingredients which you will see below, and so is parfum and dimethicone (silicone) so be warned if your skin is reactive to any of these. I don’t know much about ingredients, not being chemically trained so I’d just tell you how I feel about it. As I said above, upon application to my skin, I can feel the slight taut feeling and skin does seem to feel smoother. However, I used it over 2 weeks and I realised it wasn’t working for my skin. My skin felt dry and I experienced slight breakouts on my cheek area, which hardly ever breaks out. I had to stop using it so I can say it doesn’t work for me. 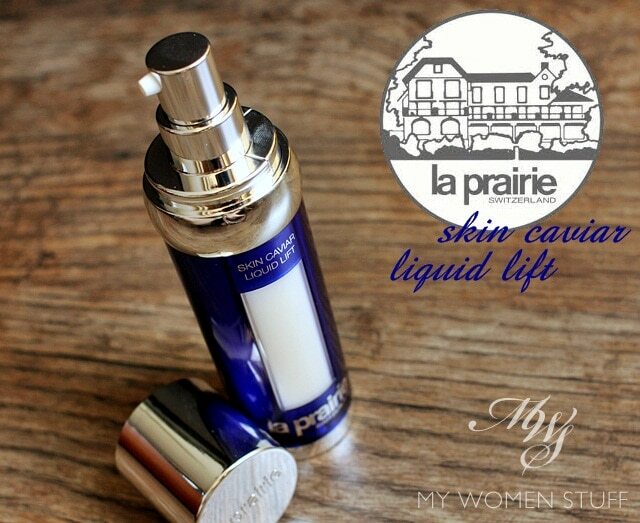 The Skin Caviar Liquid Lift is a new serum by Swiss luxury brand La Prairie targeted at helping skin feel and look firmer. It promises an instant firming and lifting effect to the skin and if you use it on the first try, I will say that my skin does feel “tightened” on first application but I can’t tell if its just temporary or if its the alcohol at work. It didn’t work on my skin as my skin felt dry and I had some minor breakouts after about 2 weeks. My Mom however has reported positive results, in that she thinks its a nice product. But she isn’t quite raving about it either. Its my first time trying anything from this brand so its a bit of a pity it didn’t work for me. Still, who’s the say if other products won’t. Water/Aqua, Sodium Citrate, Glycerin, Dimethicone, Isohexadecane, Alcohol, Linseed Oil/Palm Oil Aminopropanediol Esters, Dimethicone Crosspolymer, Glycoproteins, Panax Ginseng Root Extract, Equisetum Arvense (Horsetail) Extract, Acmella Oleracea Extract, Pentapeptide 31, Centella Asiatica Extract, Caviar Extract, Sodium Hyaluronate, Ascorbyl Glucoside, Hydroxypropyl Cyclodextrin, Palmitoyl TrIpeptide-38, Lactic Acid, Polyacrylate Crosspolymer 6, Panthenol, Butylene Glycol, Propanediol, Pentylene Glycol, EDTA, Xanthan Gum, Sodium Bicarbonate, Algin, Hydroxyethylcellulose, Xanthan Gum Crosspolymer, Hexylene Glycol, Sodium Lauryl Sulfate, Propylene Glycol, Tin Oxide, Fragrance/Parfum, Linalool, Citronellol, Geraniol, Limonene, Eugenol, Benzyl Benzoate, Benzyl Salicylate, SD Alcohol 40-B (Alcohol Denat), Phenoxyethanol, Chlorphenesin, Sodium Methylparaben, Propylparaben, Sodium Benzoate, Mica (CI 77019), Titanium Dioxide (CI 77891), Synthetic Fluorphlogopite, Iron Oxides (CI 77491). 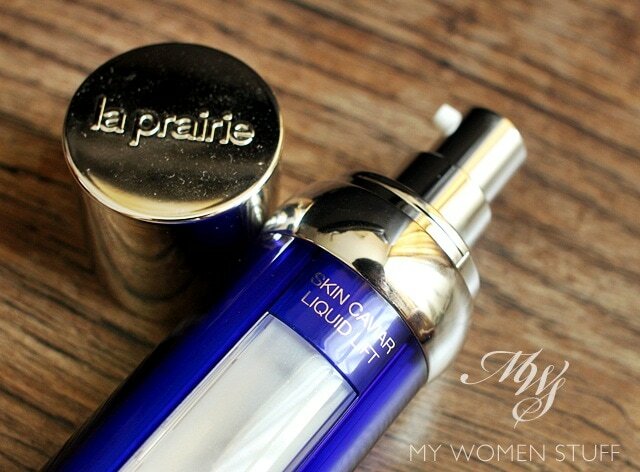 Have you ever used anything from La Prairie? Disclosure: Featured product was from a press launch. For posting guidelines please read my disclaimer. NEXT POST: Simple Blogging Tips: Are Extreme Close ups of Makeup Necessary in a Beauty Blog?